Together with you, we are 6108. You have graduated the #1 university in Romania. It happens once in a lifetime! For the 1st time, this year the entire celebrates you. 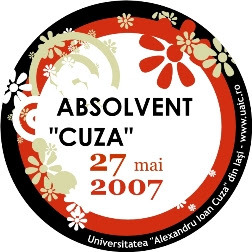 Ziua absolventului de „Cuza”. Ziua ta! Fore more details, there is a poster and the site.